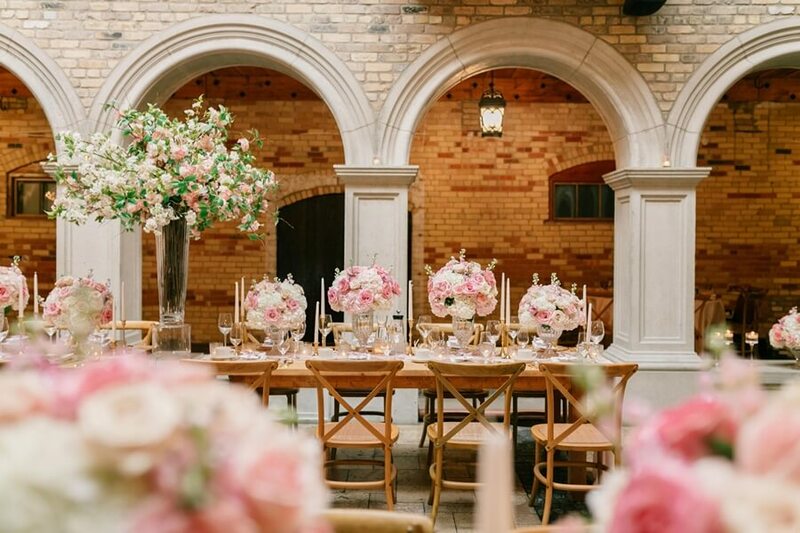 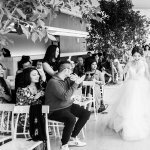 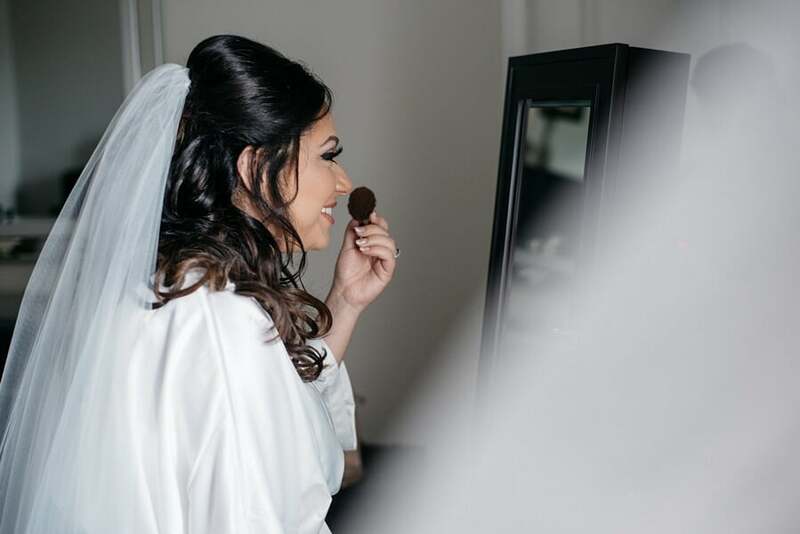 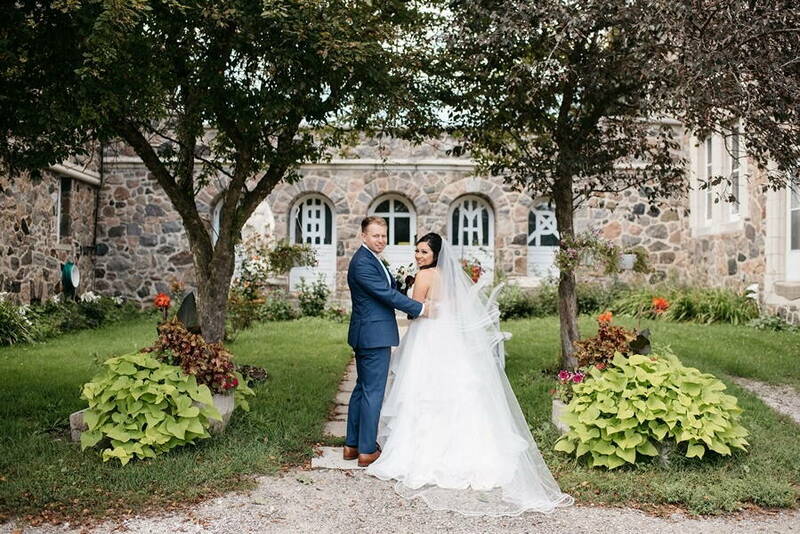 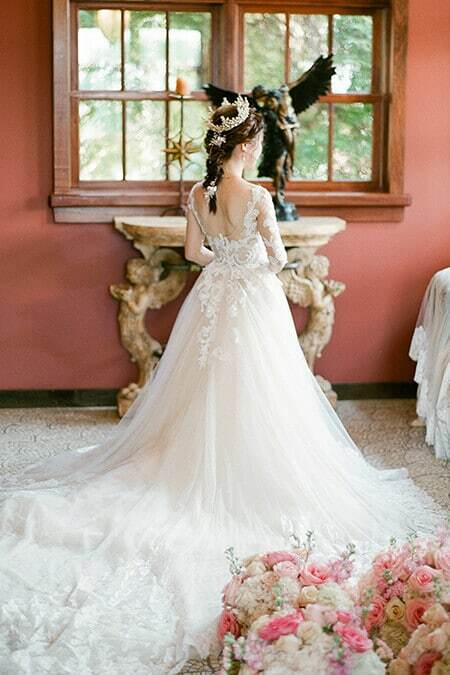 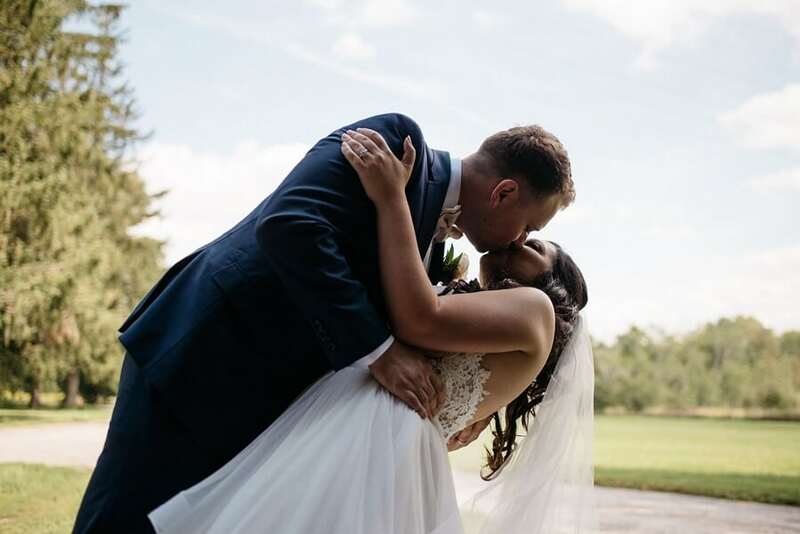 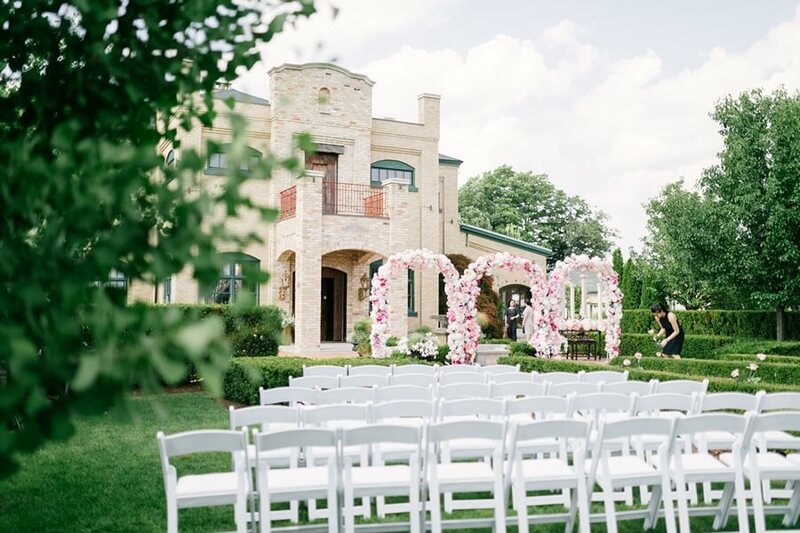 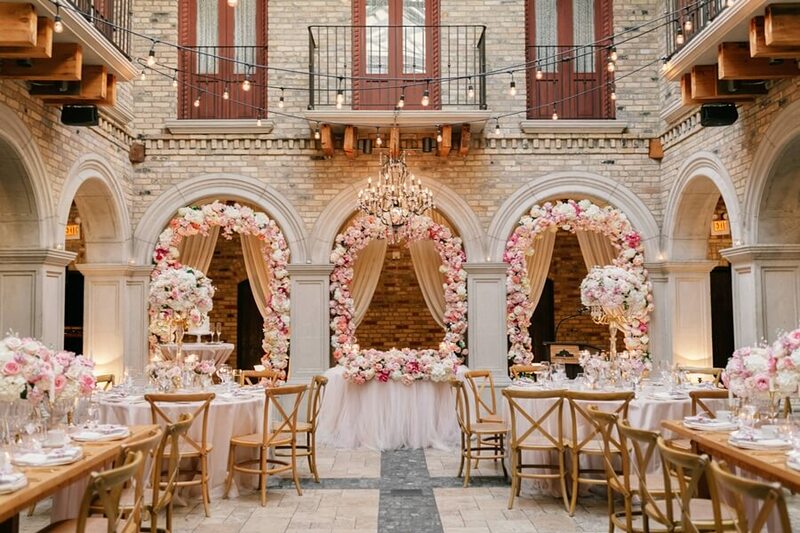 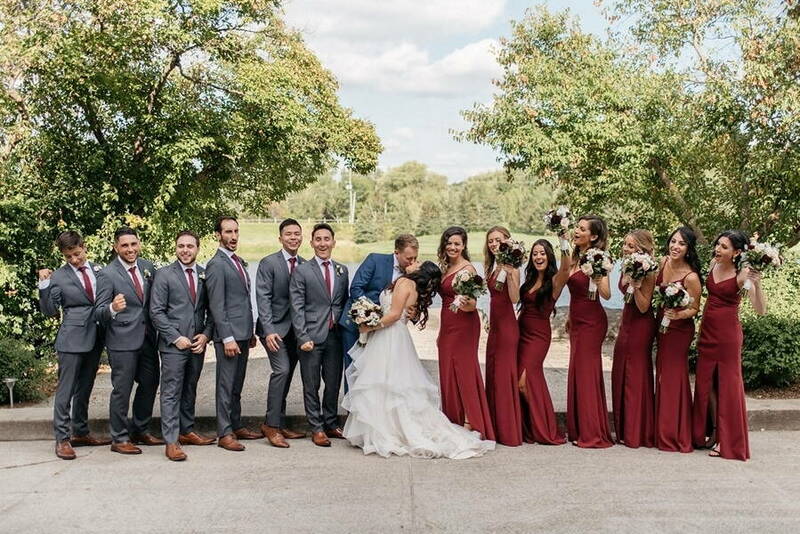 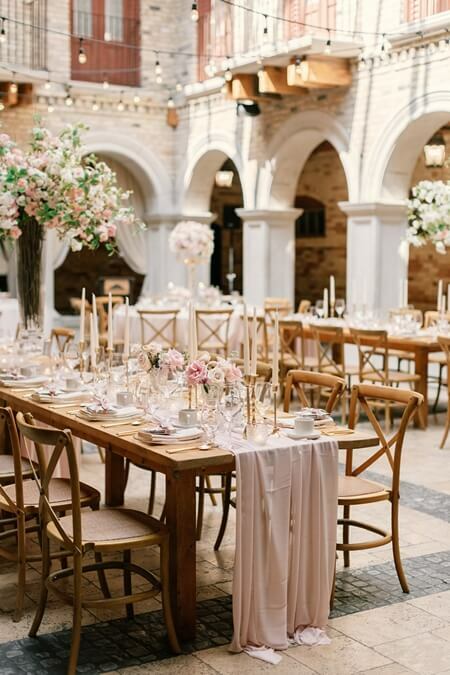 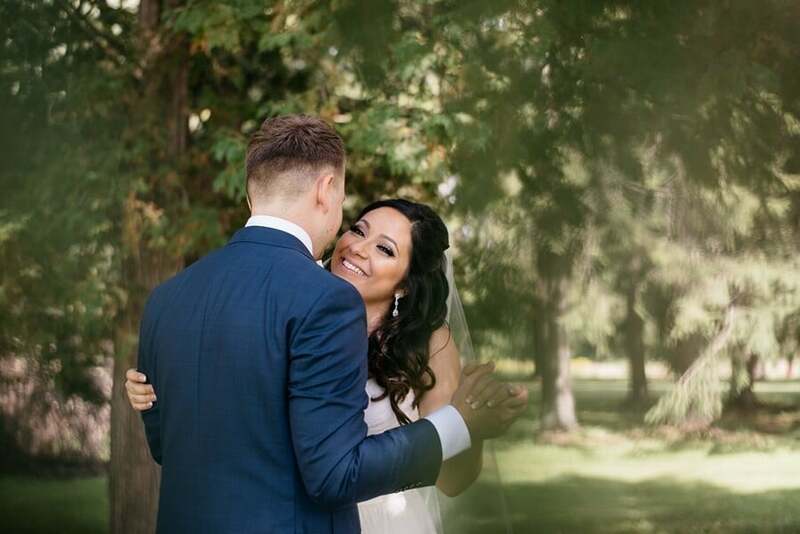 Every bride deserves to feel like a princess on her wedding day, and the Hacienda Sarria proved to be the perfect venue for Cynthia and Sean’s fairy tale wedding. 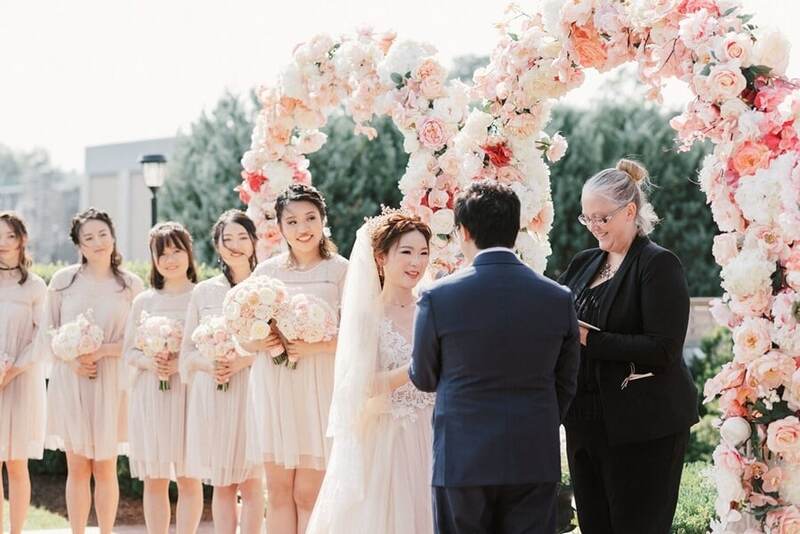 Rainbow Chan brought this couple’s dream wedding to life. 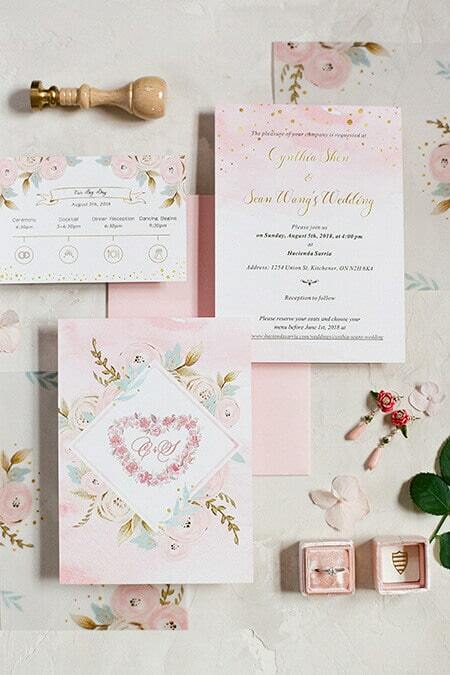 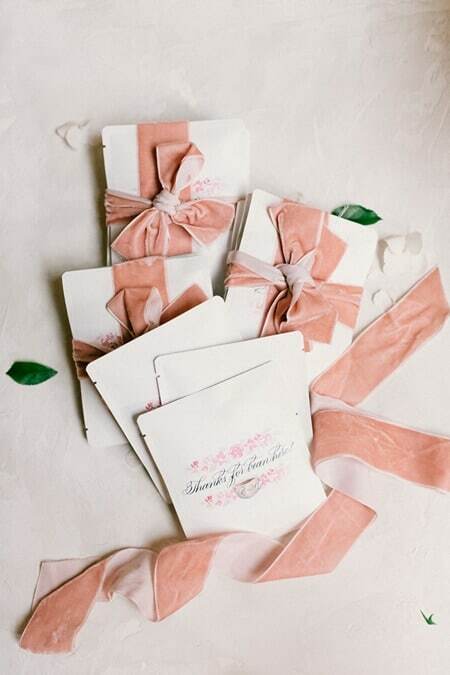 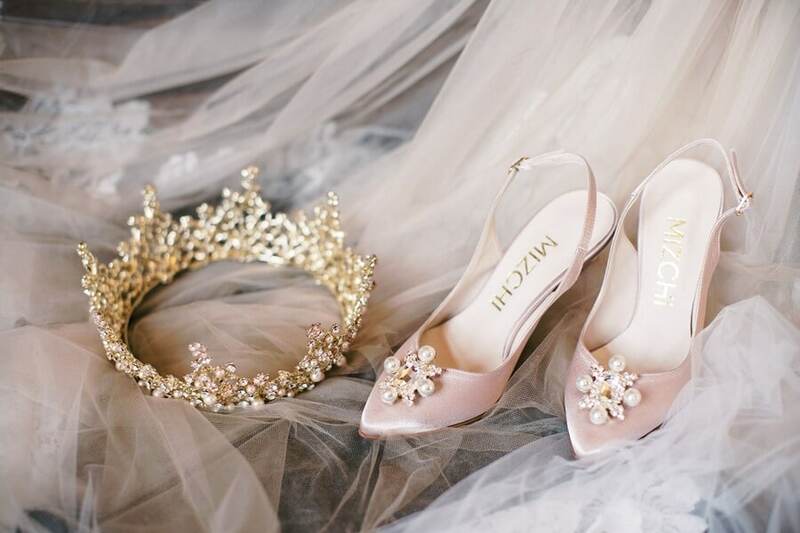 From the pink floral invitation suite to the bride’s golden crown, this wedding is like something out of a storybook! 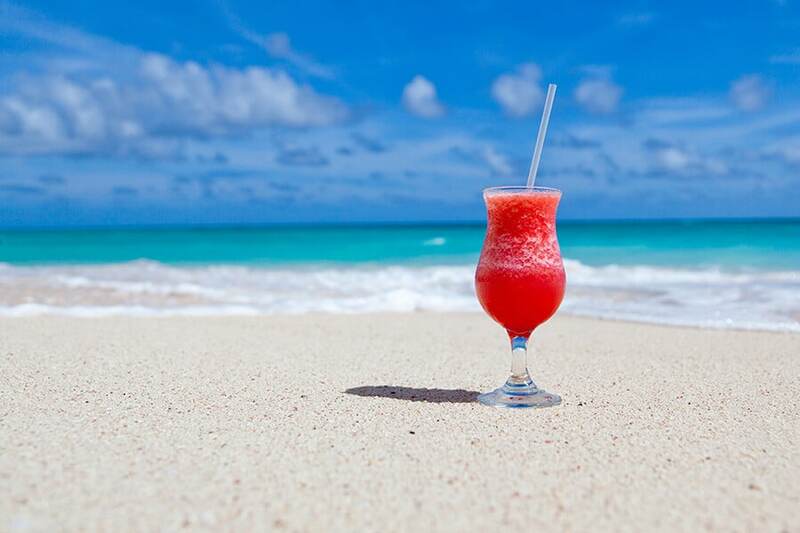 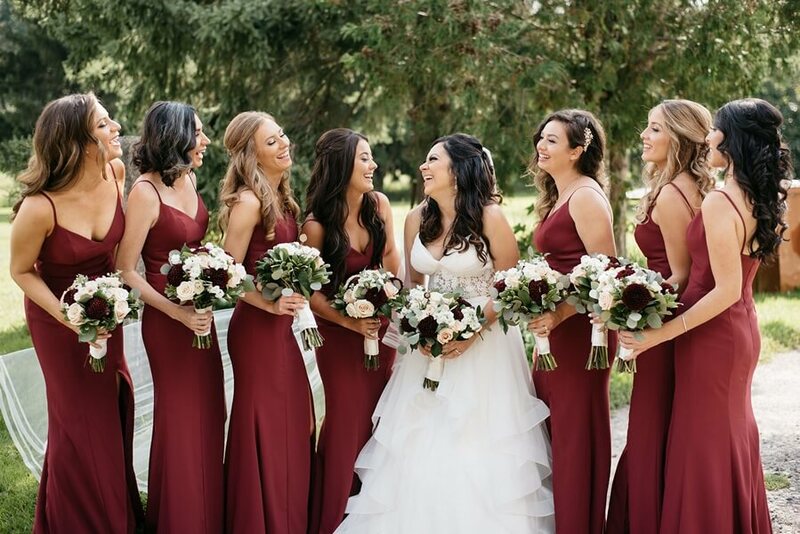 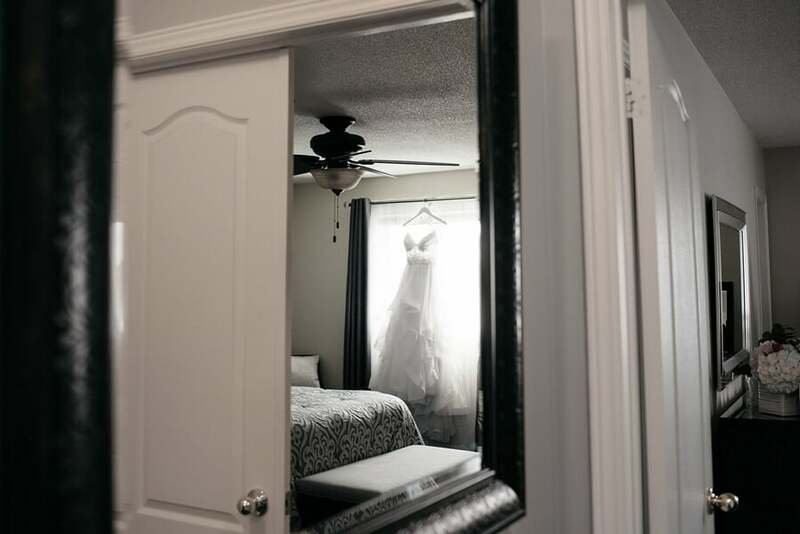 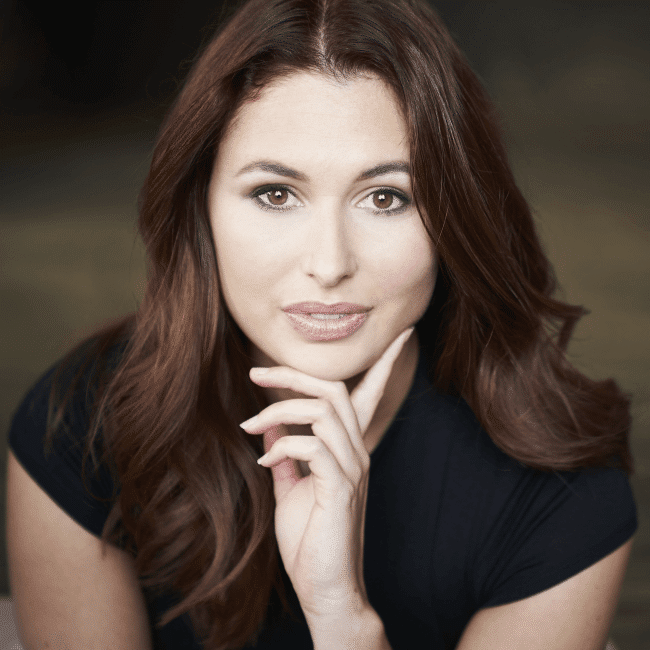 From the Bride: As a bride, no wedding is better than one that you can really enjoy! 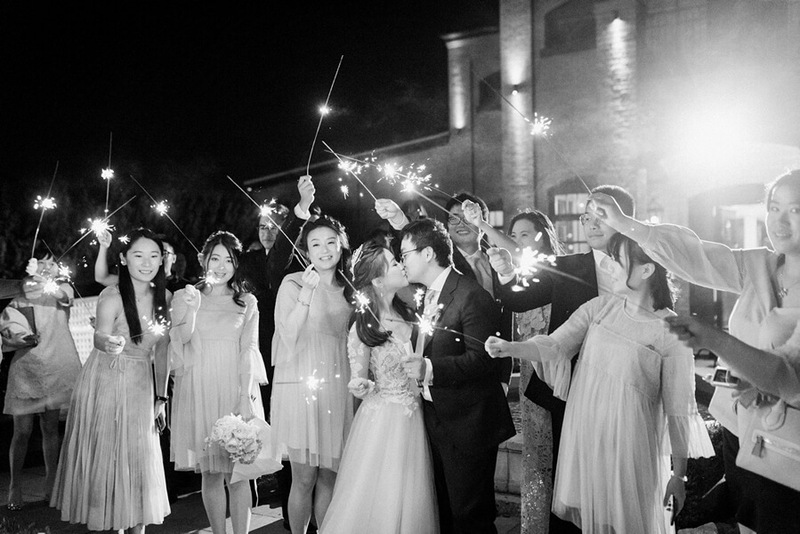 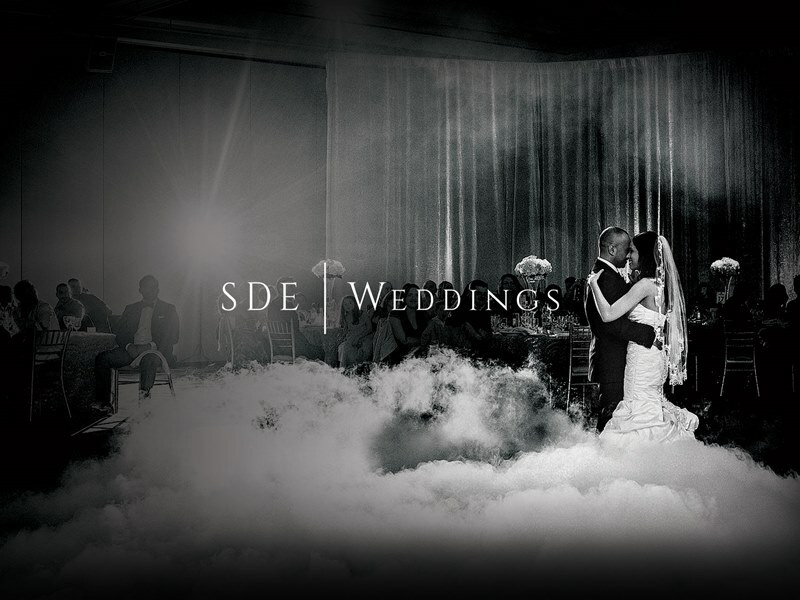 We had always dreamed of a wedding that would be warm, intimate and special. 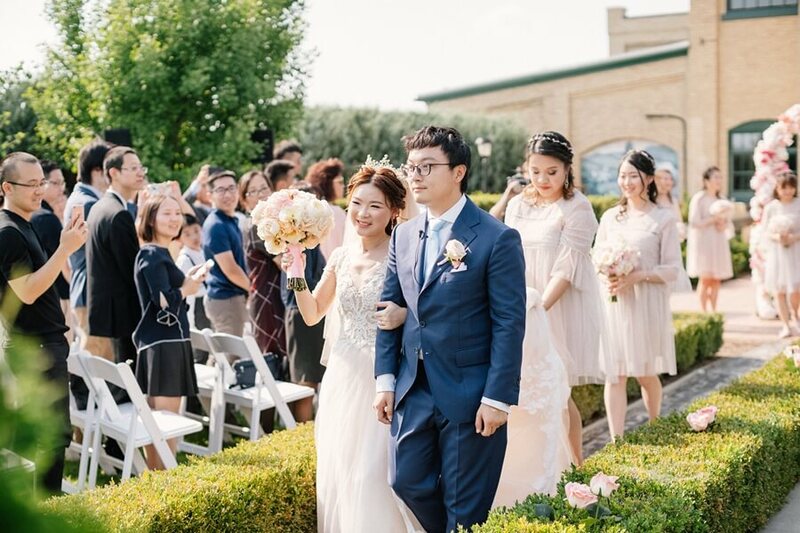 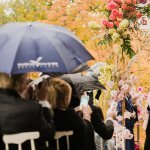 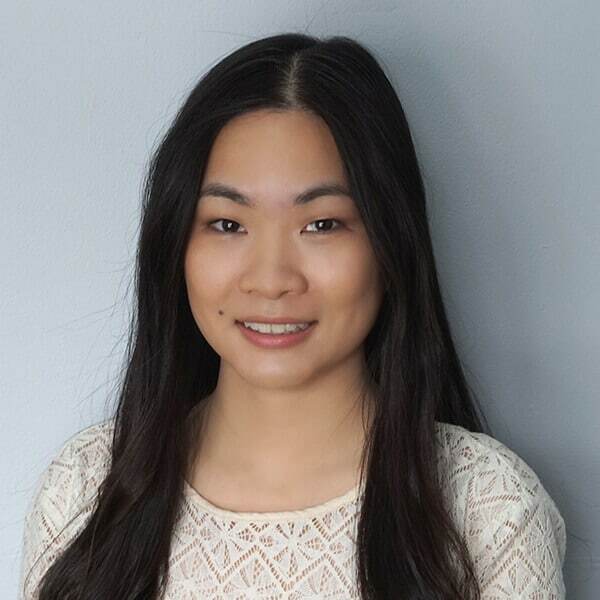 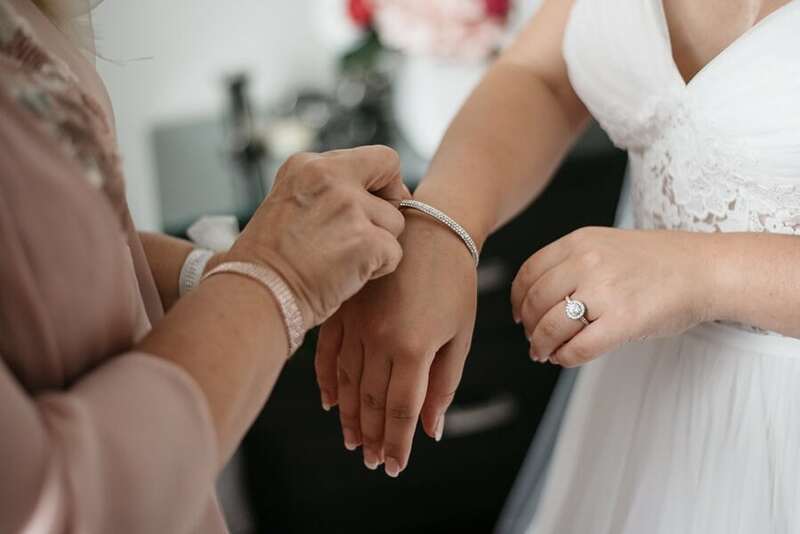 The preparation was like an adventure for us and Rainbow was able to perfectly compile all of our ideas and turn them into our dream wedding day! 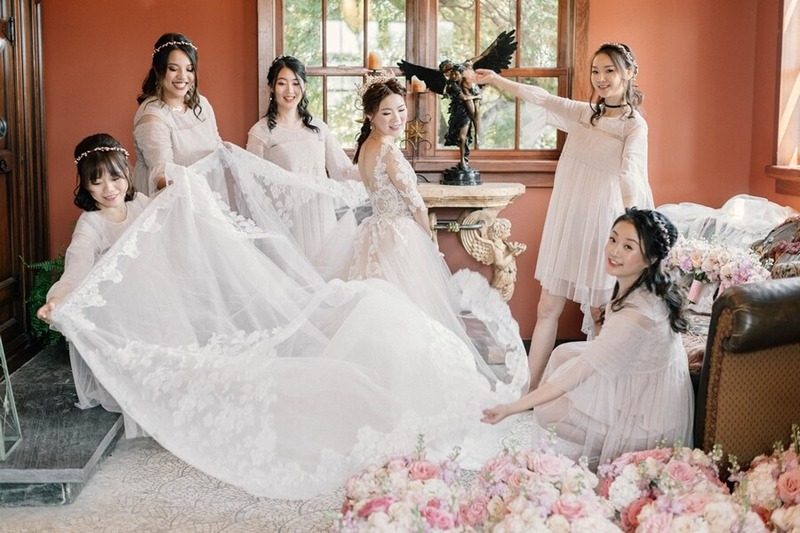 Lucky for us, Artiese Studio was there to capture all the beautiful moments from this elegant wedding. 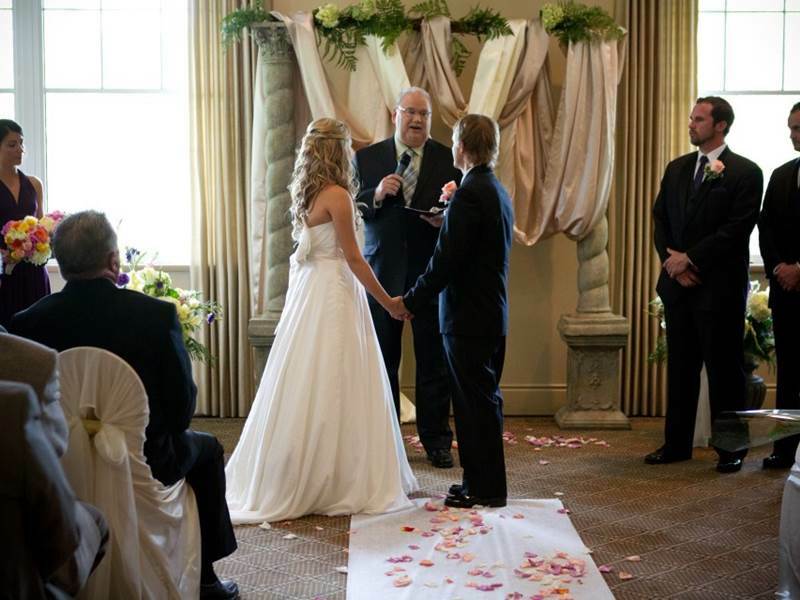 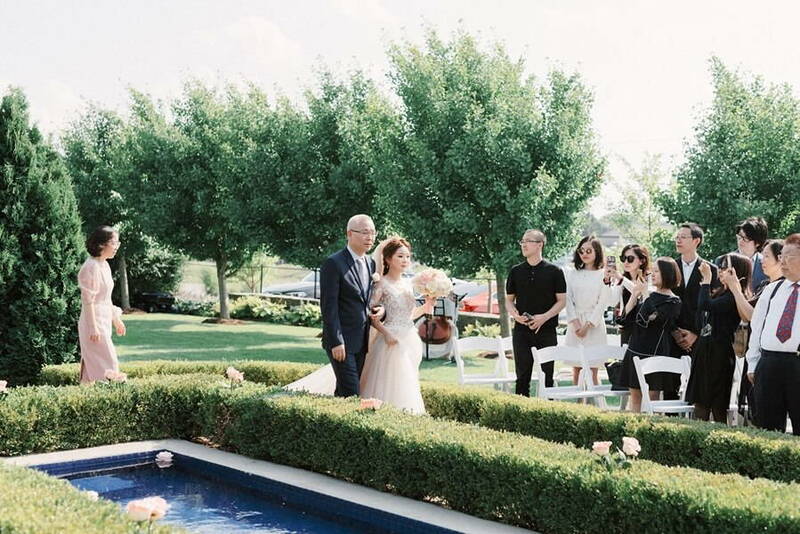 Cynthia and Sean had a beautiful outdoor ceremony officiated by Kettle Creek Weddings. 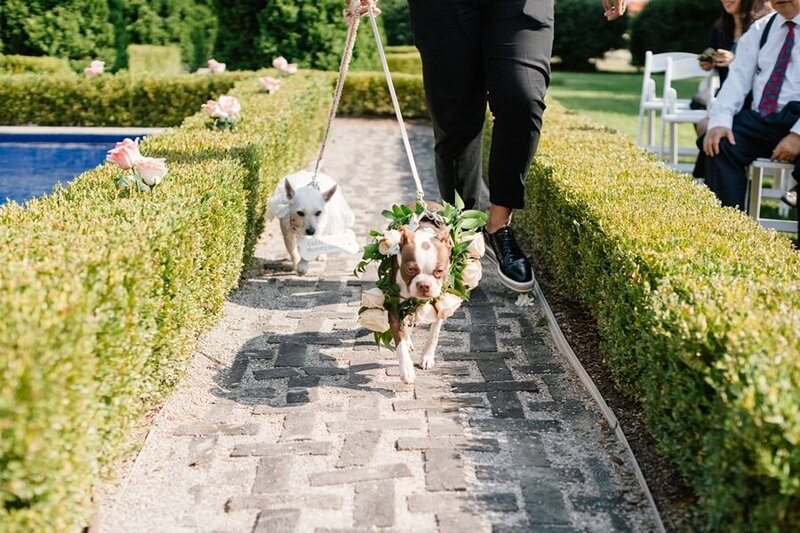 Their adorable dogs were incorporated into the ceremony and walked down the aisle before Cynthia. 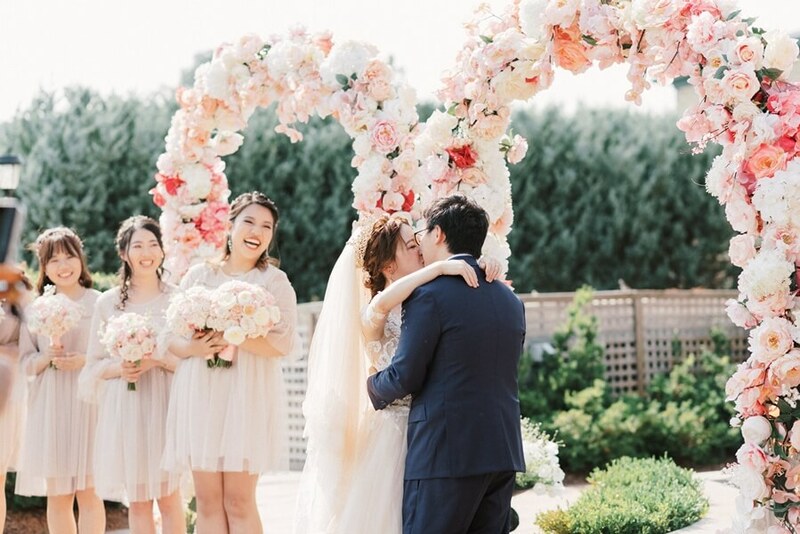 The couple exchanged vows under three beautiful pink floral arches, surrounded by the gorgeous grounds of the hacienda. 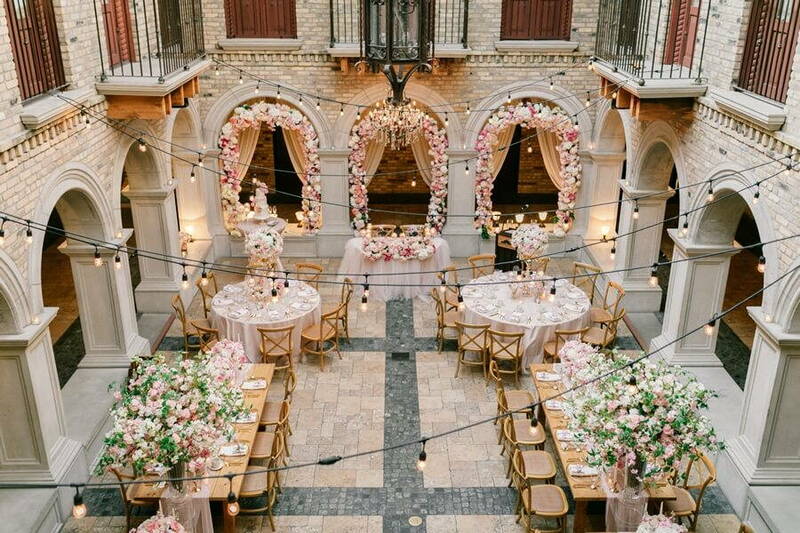 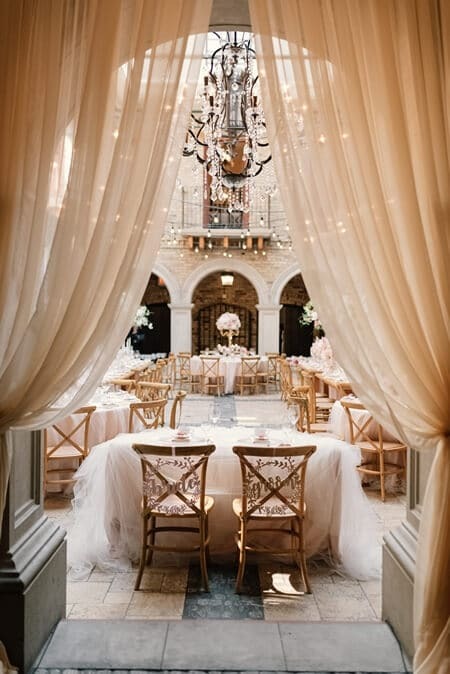 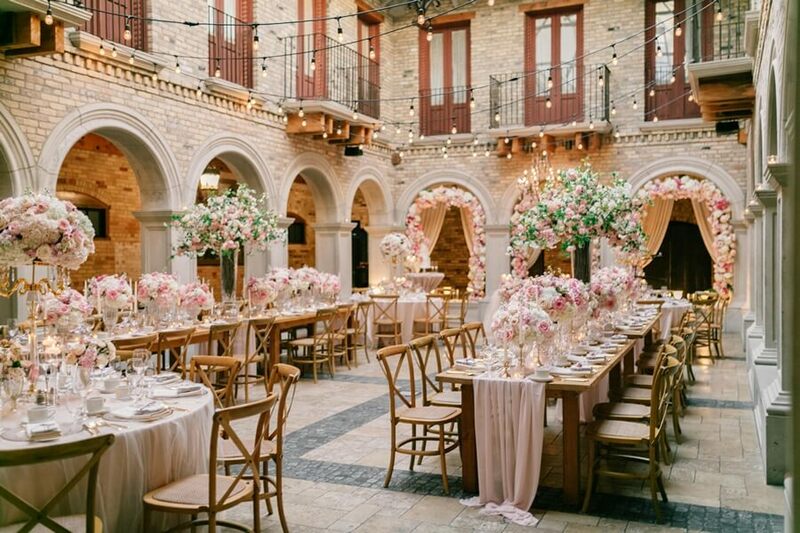 The Spanish-style courtyard and ballroom was the perfect setting for the newlyweds’ reception. 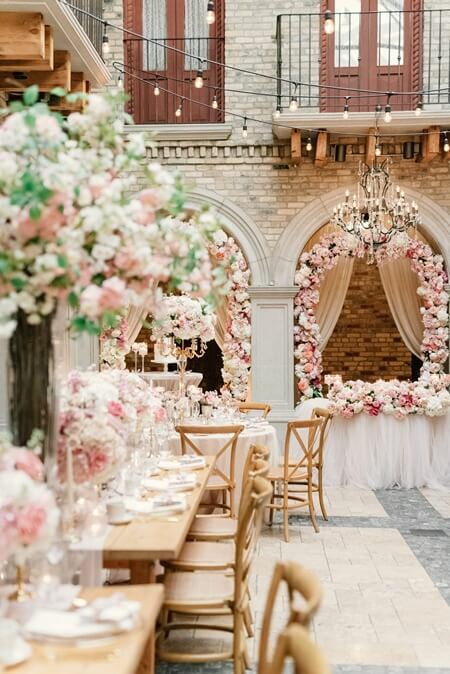 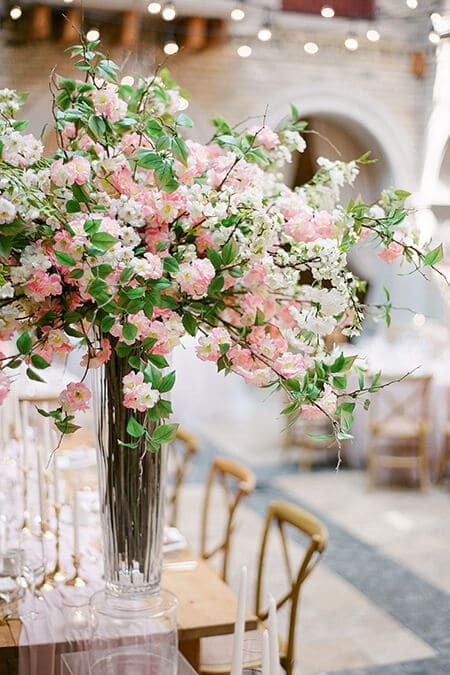 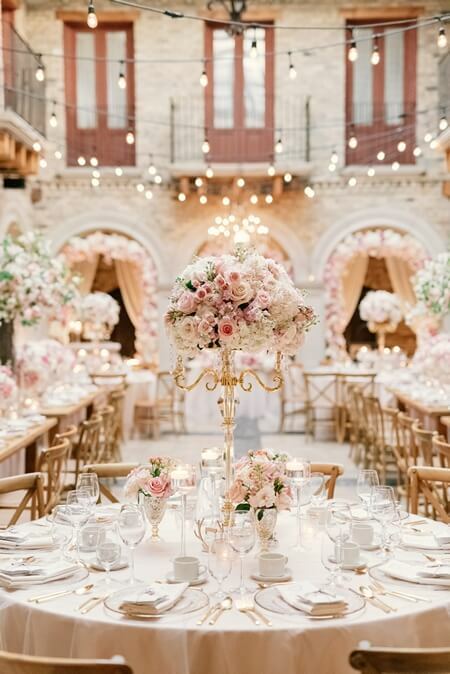 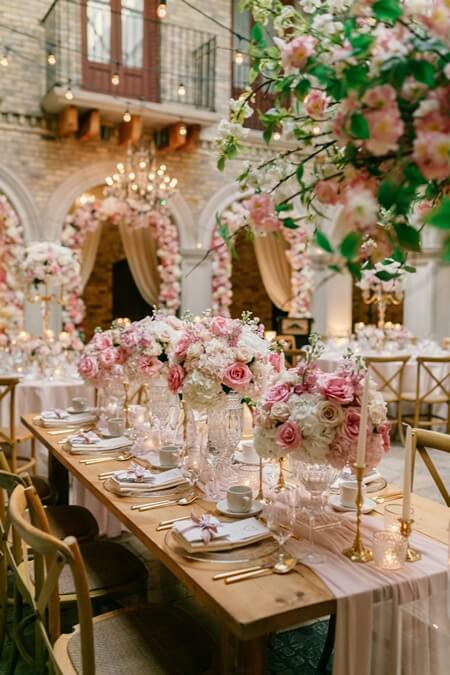 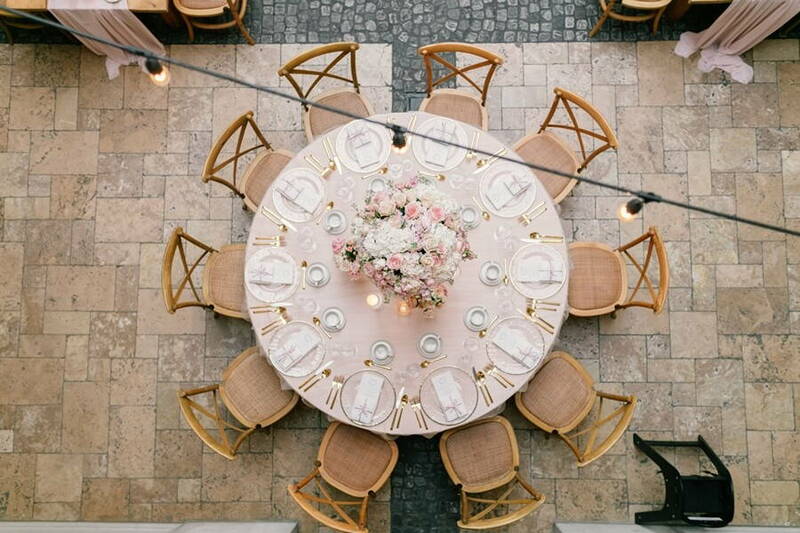 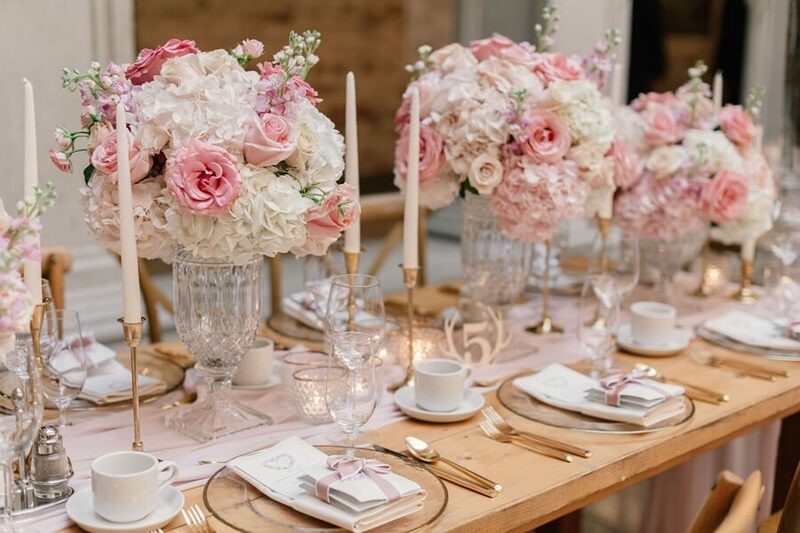 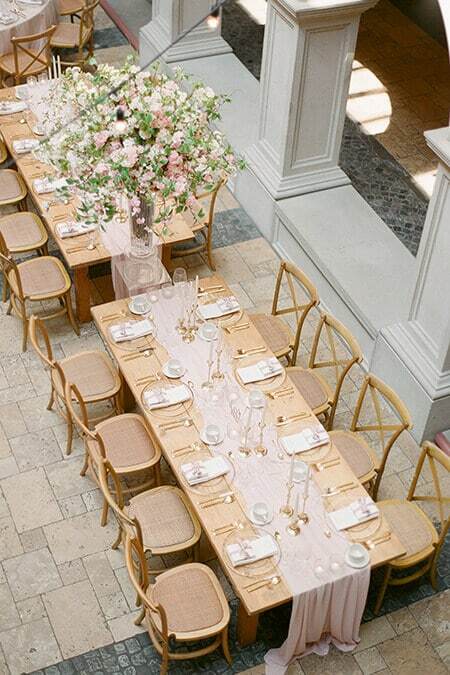 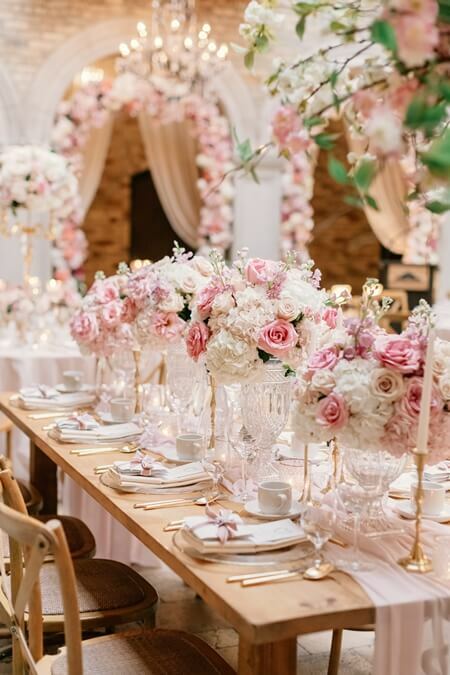 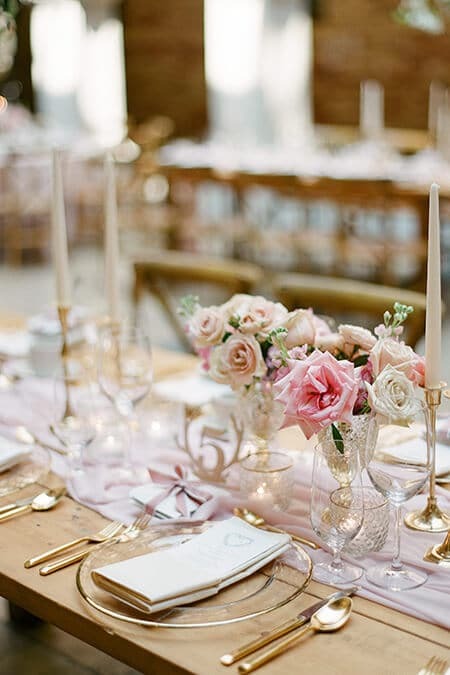 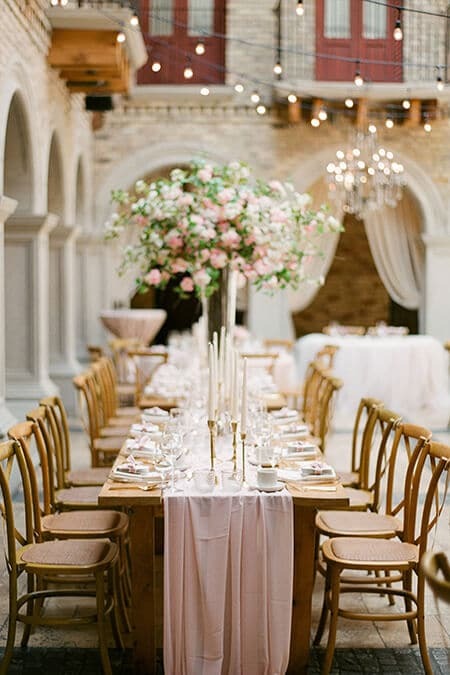 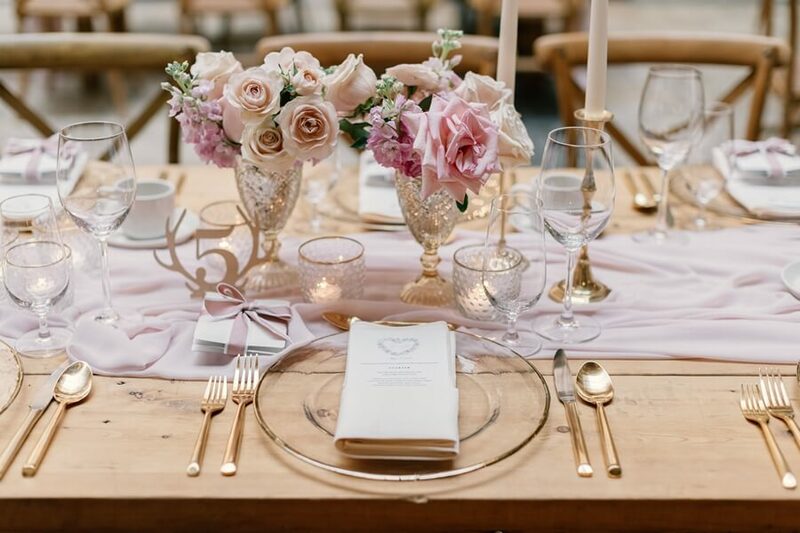 Outside, soft blush fabrics lined the guest tables that were elegantly decorated with gold accents and cascading pink-and-white florals designed by Weddings by Ardenian. 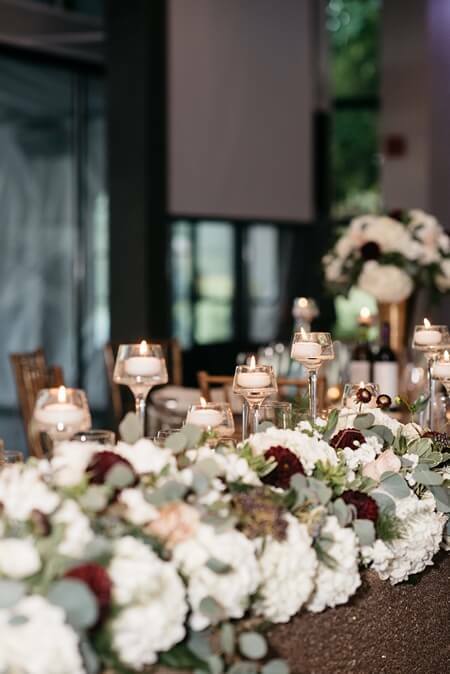 The newlyweds’ sat at their own table that was sweetly decorated with tulle, florals and floating candles. 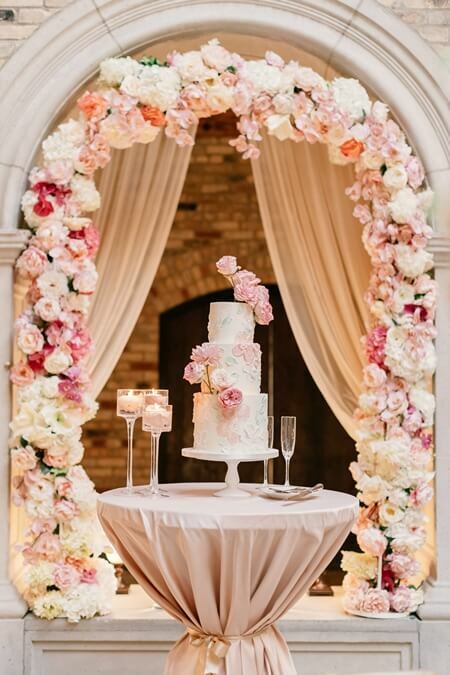 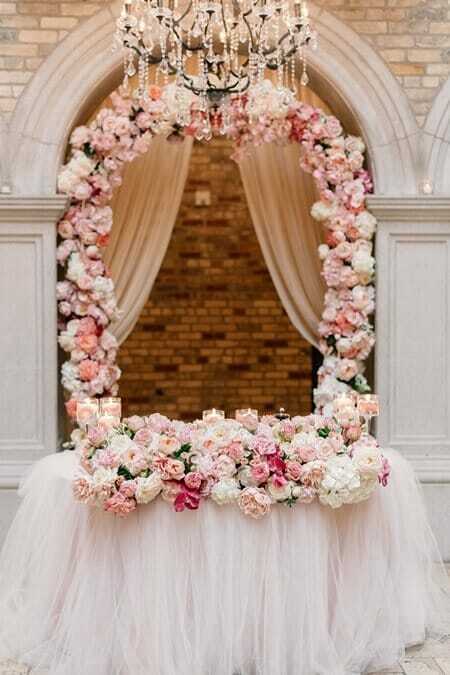 The floral arches from the ceremony were re-purposed for the reception and framed the sweetheart table at the head of the reception perfectly! 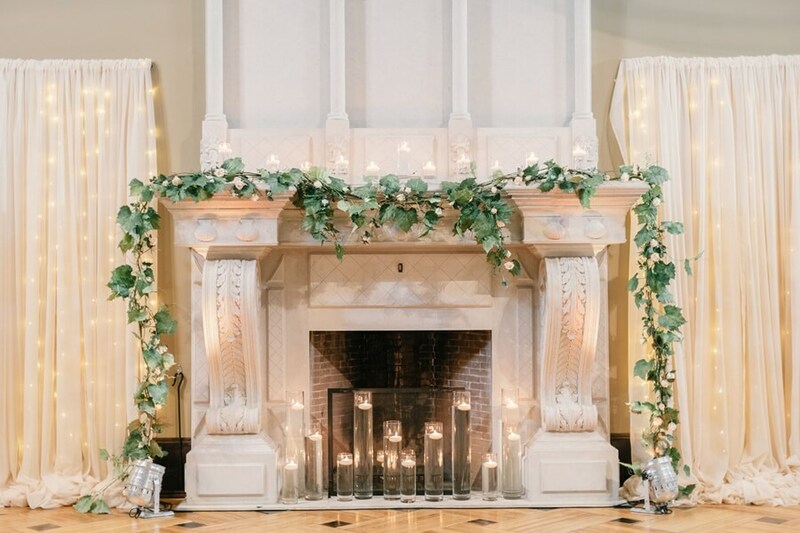 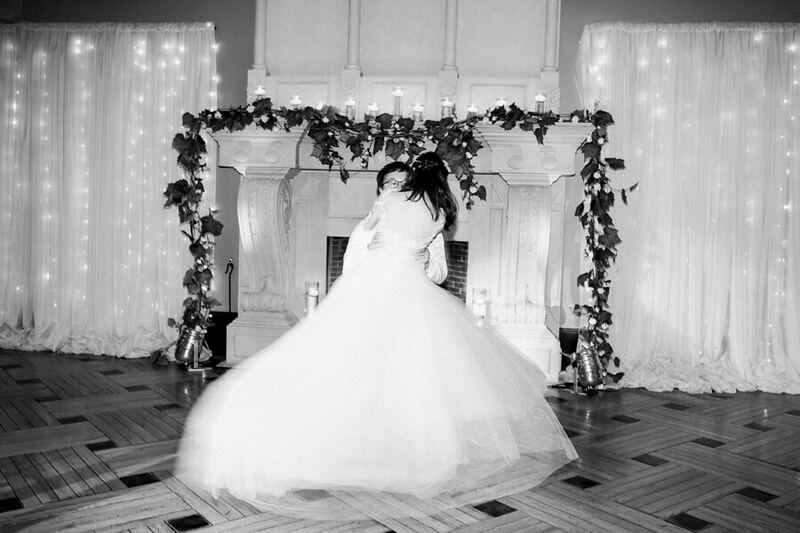 Inside, the ballroom was decorated with flowing fabric, twinkling fairy lights, greenery and floating candles which added to the romantic ambiance. 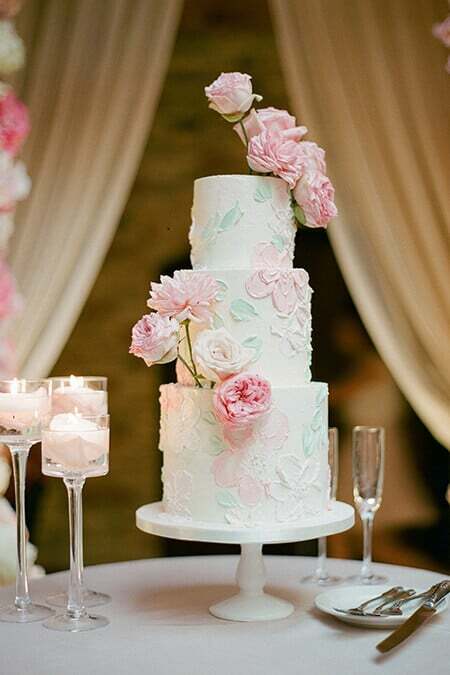 A delicious 3-tiered cake adorned with floral designs and real flowers by Ian Cakery capped off this elegant affair. 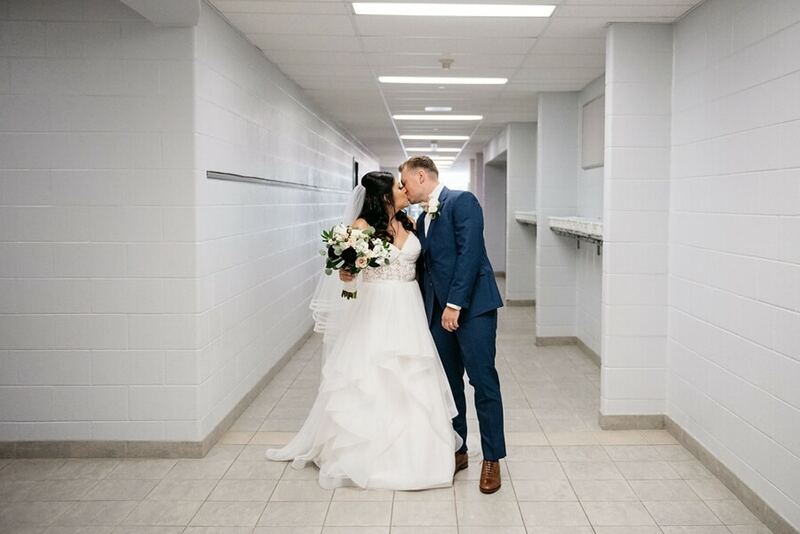 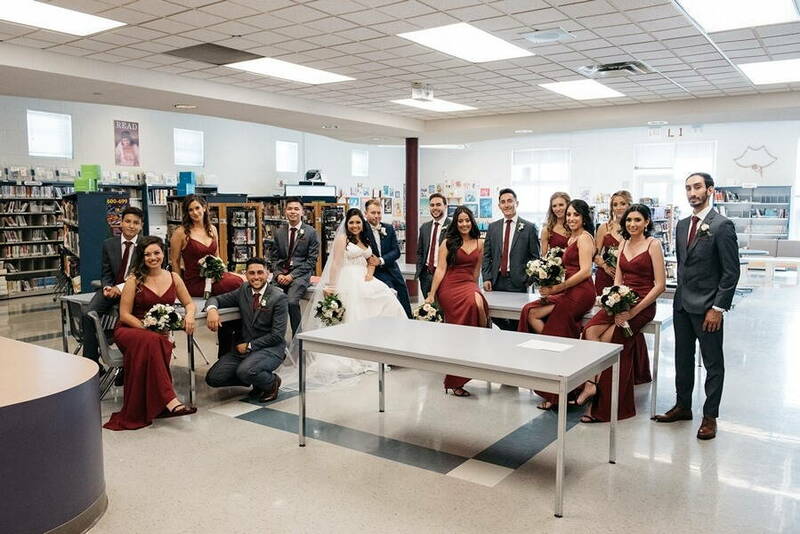 It’s not everyday that high school sweethearts are able to make their love go the distance but Amanda and Pat did just that – they met and fell in love in high school and through the years, were able to make their relationship work and started planning the wedding of their dreams last year. 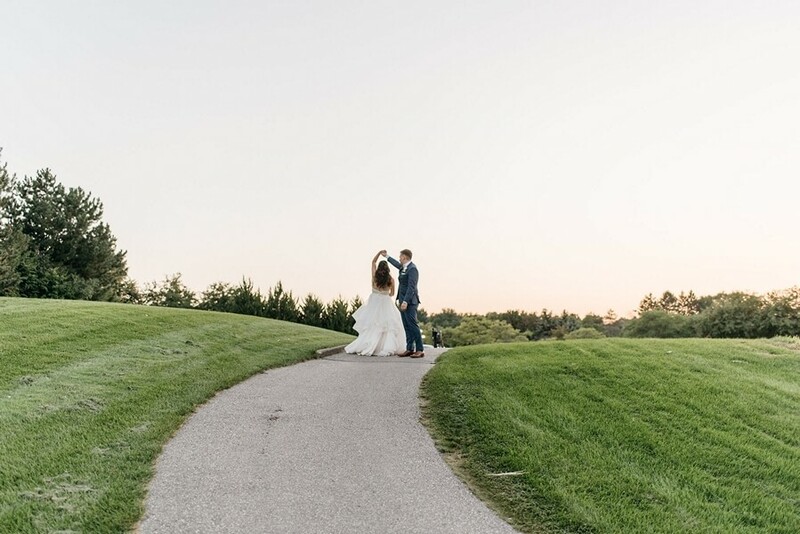 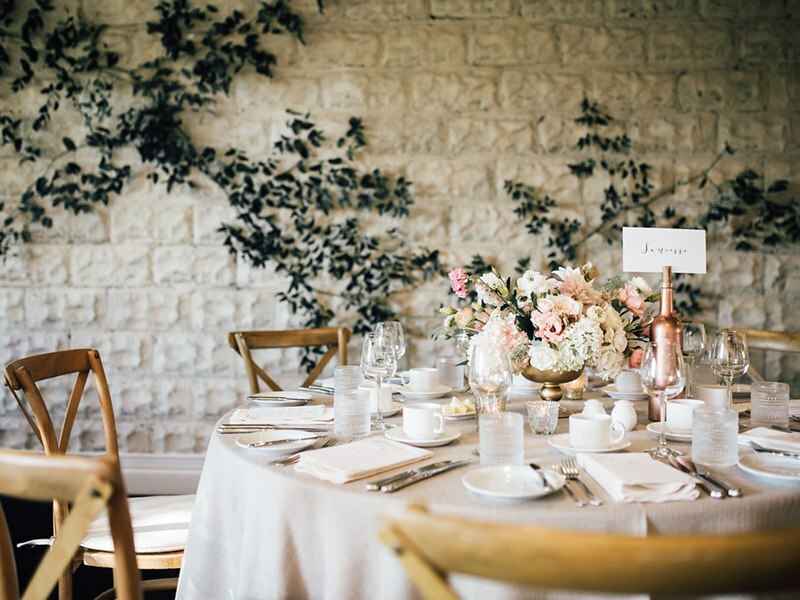 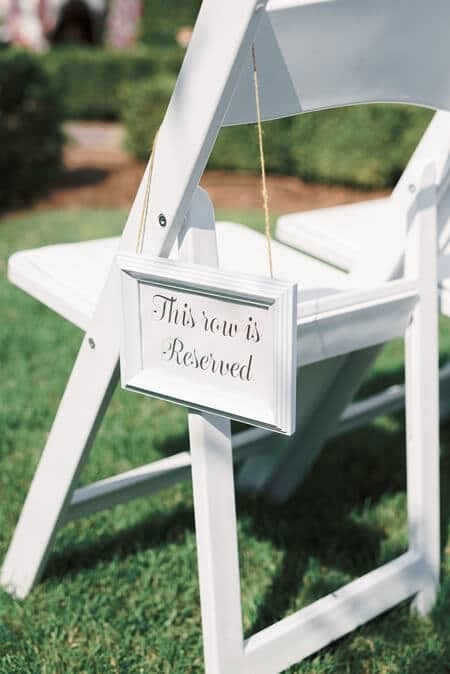 After searching for that perfect venue, they decided to hold their big day at The Manor in Kettleby, Ontario. 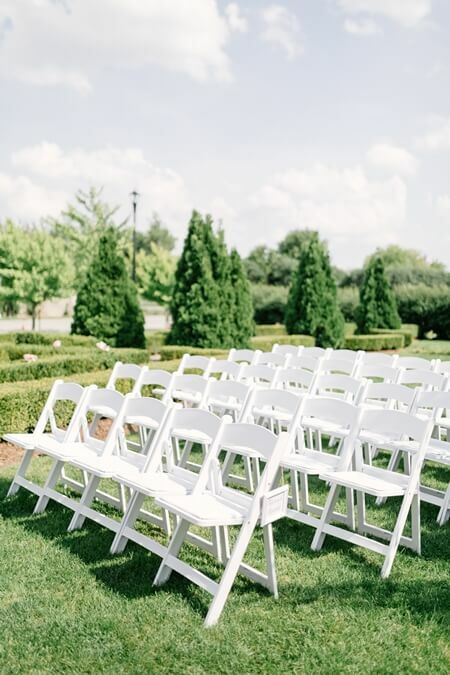 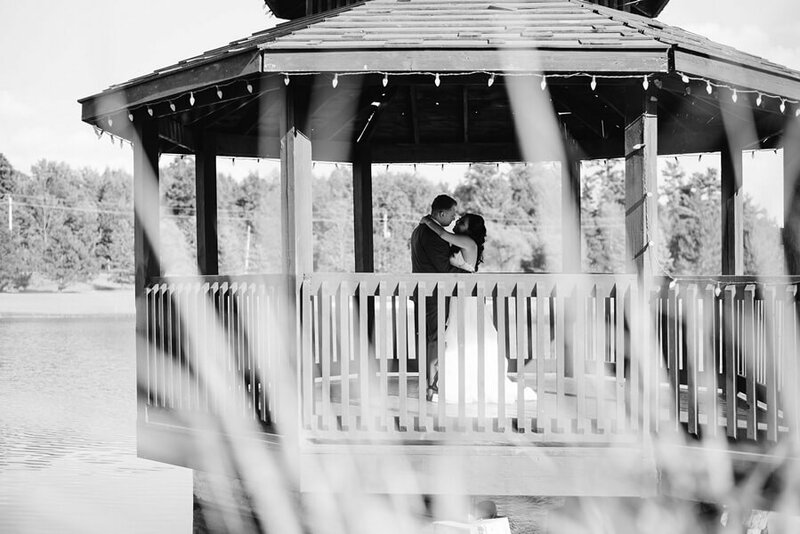 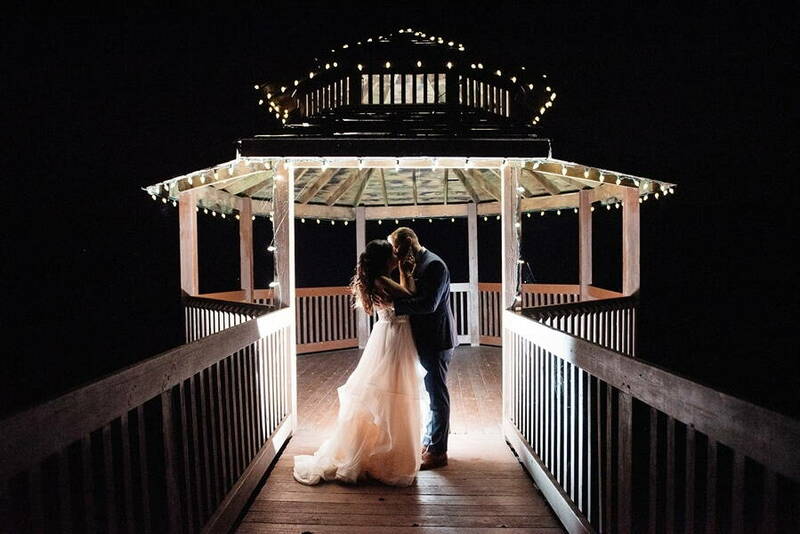 The venue’s large property offers green grounds and small ponds that provided gorgeous backdrops for magical photos! 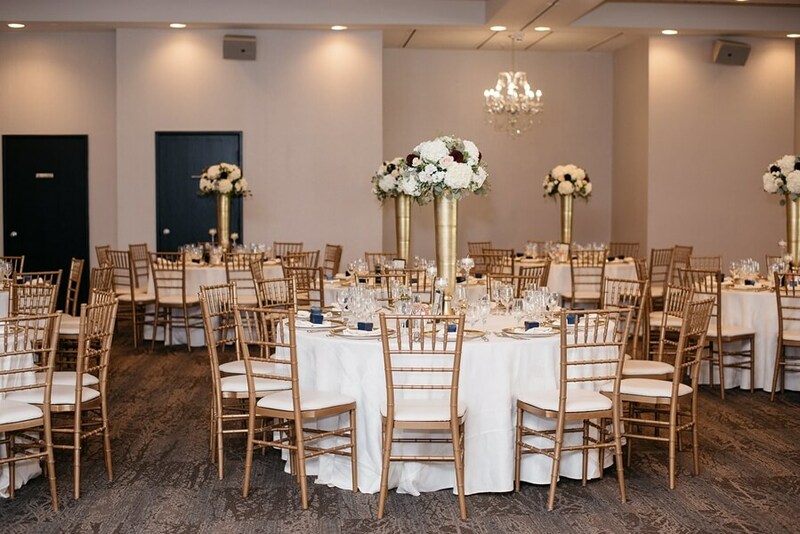 Inside the venue, the couple decided on a gold and burgundy colour palette with hints of navy blue. 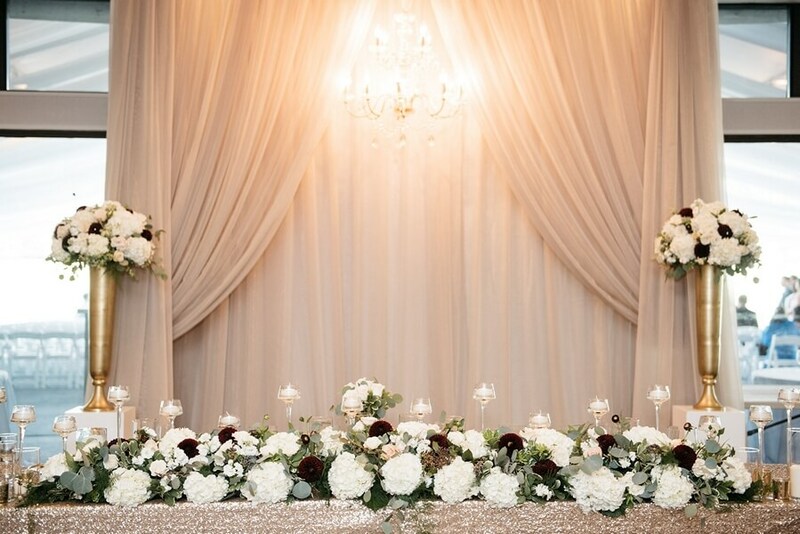 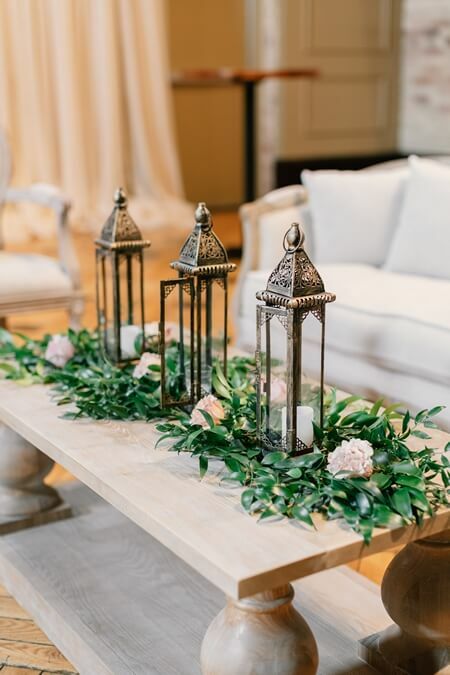 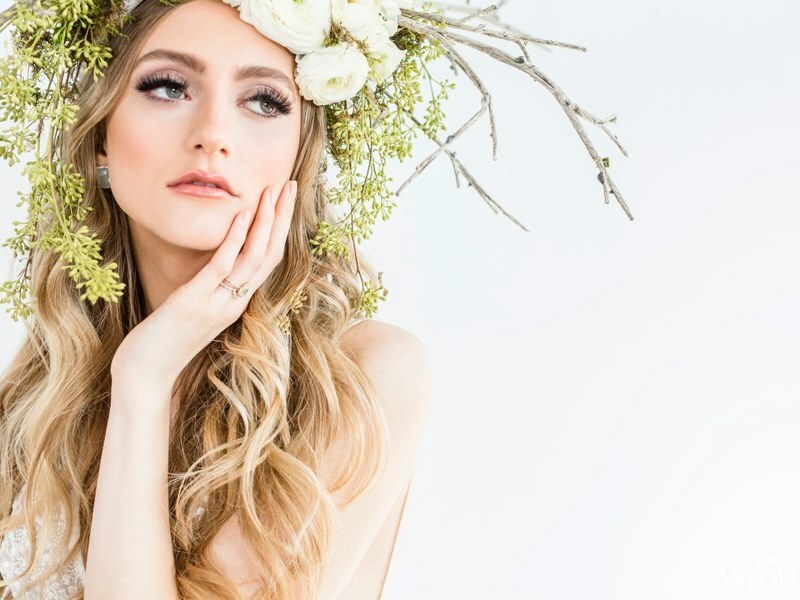 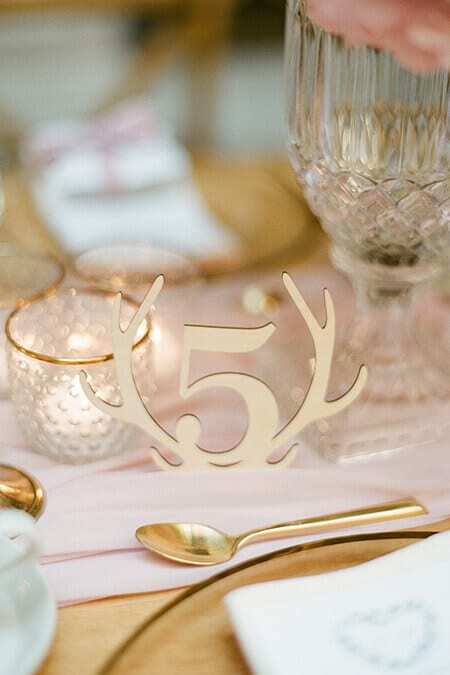 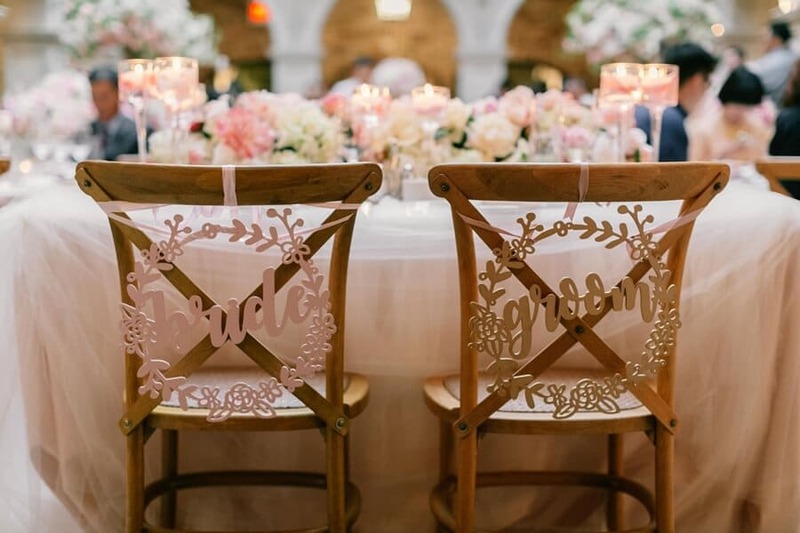 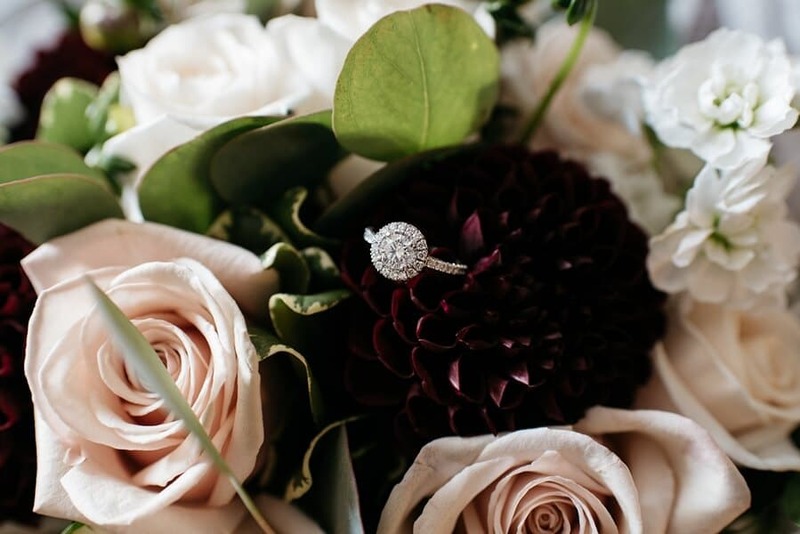 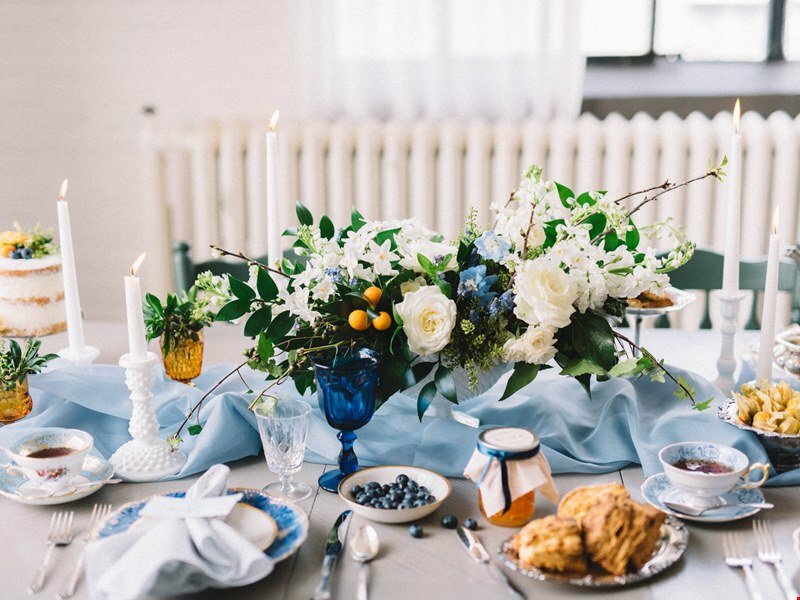 Lucky for us, Olive Photography was on hand to capture all of the pretty details! 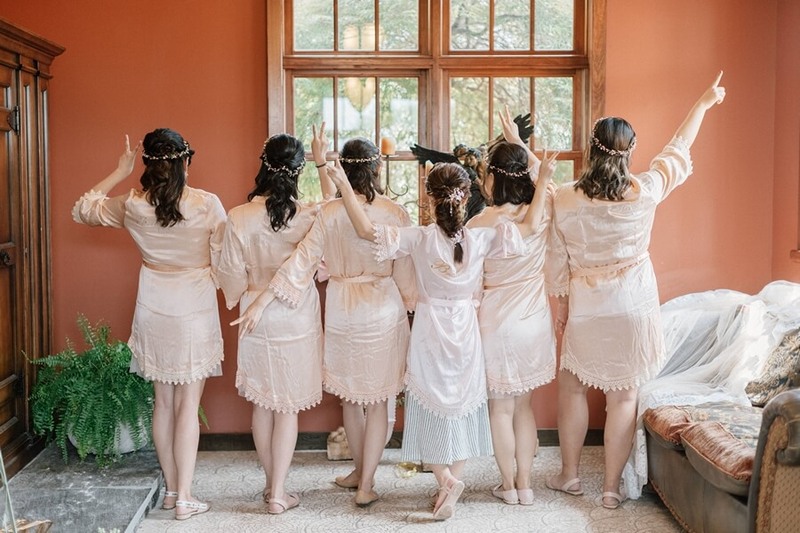 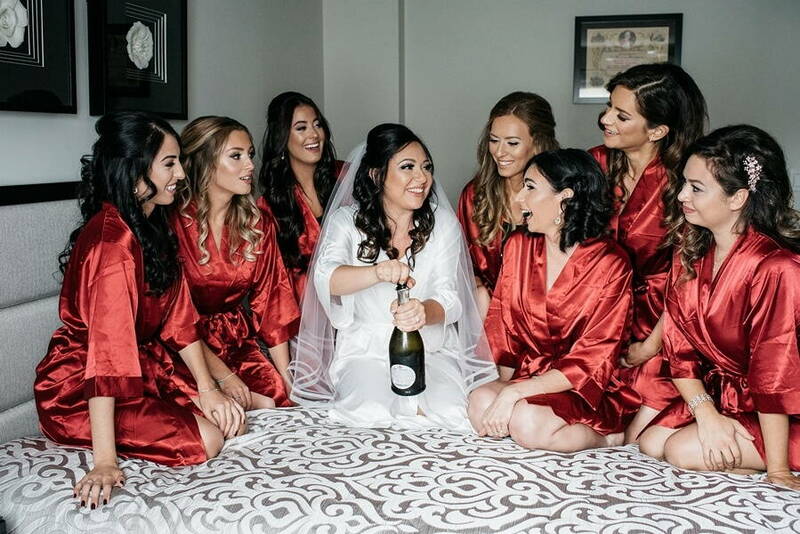 Dressed in silk robes, Amanda and her bridesmaids started off the day popping champagne and sharing laughs. 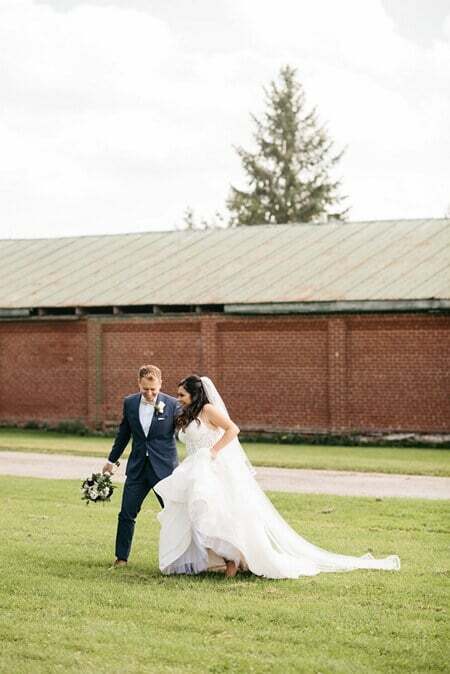 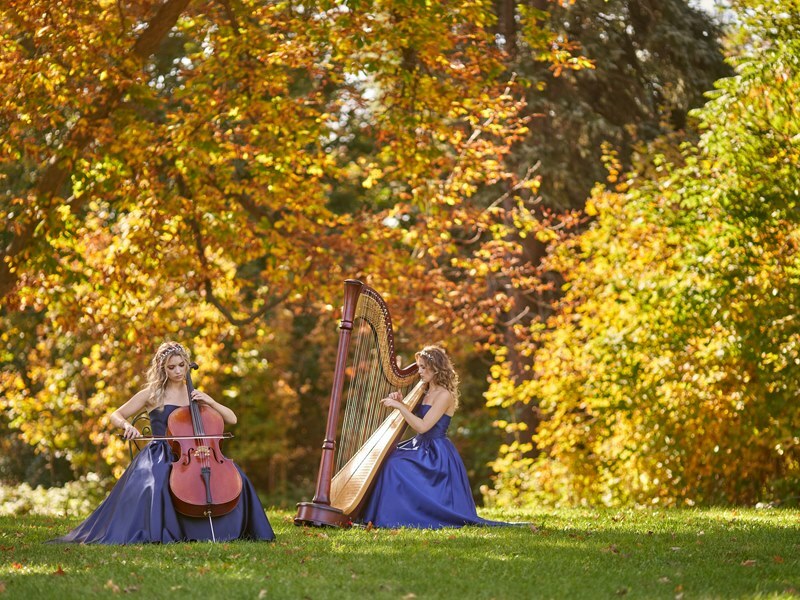 To celebrate where their love story began, the couple had a few photos taken in the hallways of a school, followed by a beautiful photo session along The Manor‘s vast grounds. 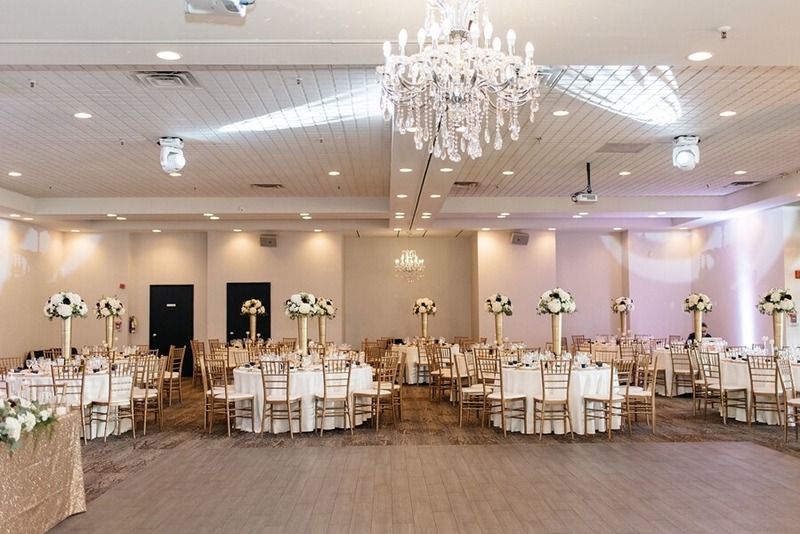 The reception was absolutely sparkling! 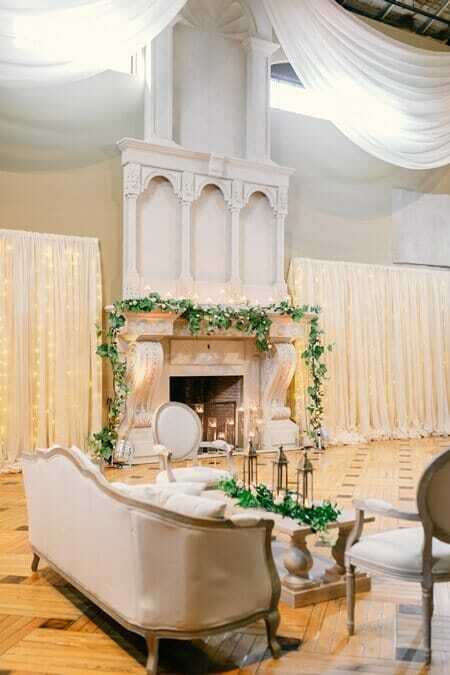 The large, bright room was set in gold and white. 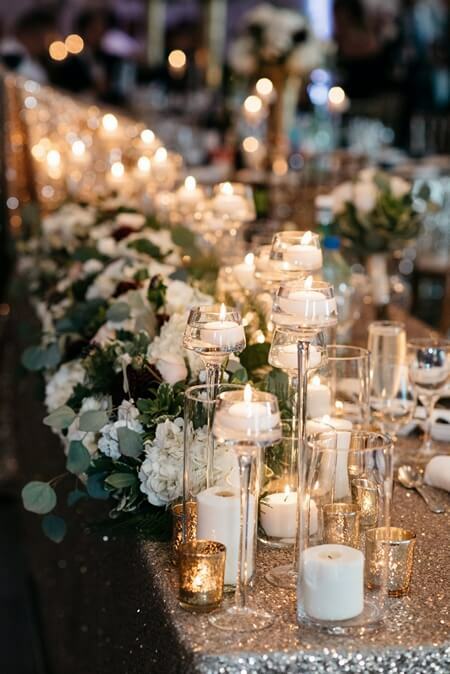 The head table wore a shimmering gold tablecloth and was filled with abundant florals and plenty of candles. 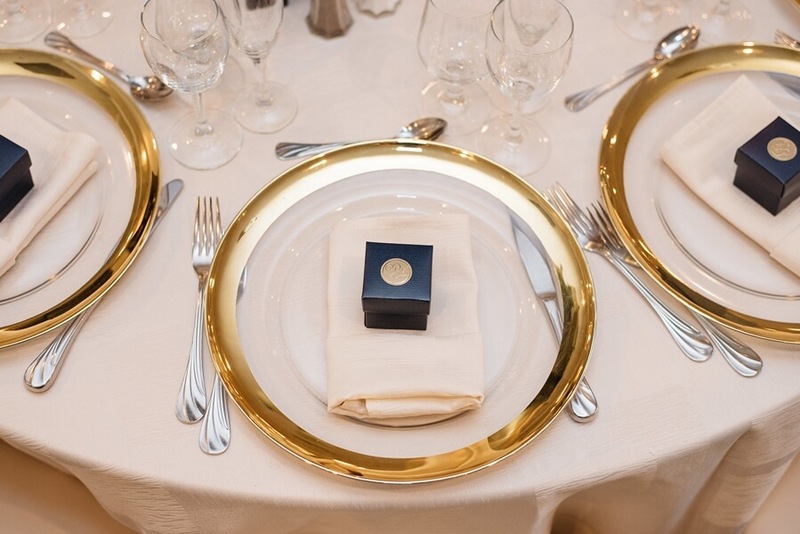 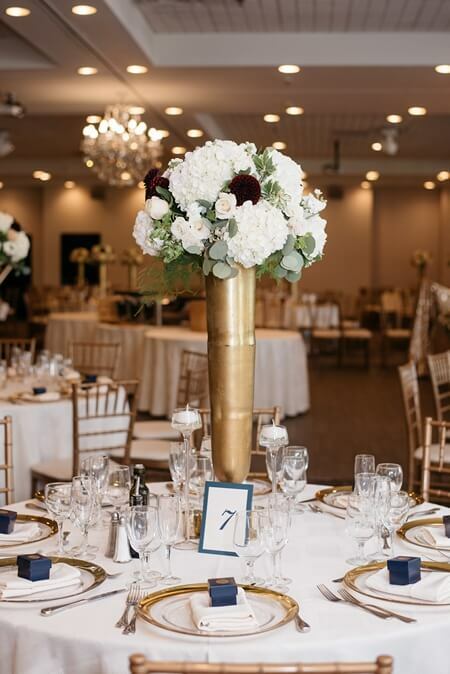 Guests sat in gold-framed chairs while eating dinner on gold-rimmed plates that encircled a gold-wrapped centerpiece designed by Hillcrest Florist. 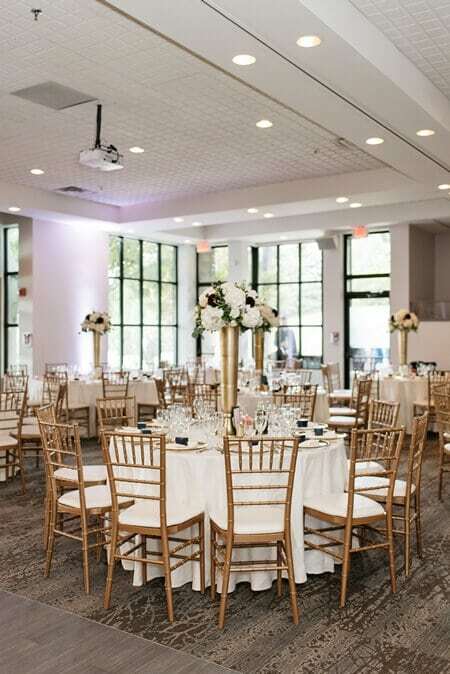 The tables hugged a large dance floor in the center of the room, so everyone could watch Amanda and Pat as they danced together as a married couple for the first time. 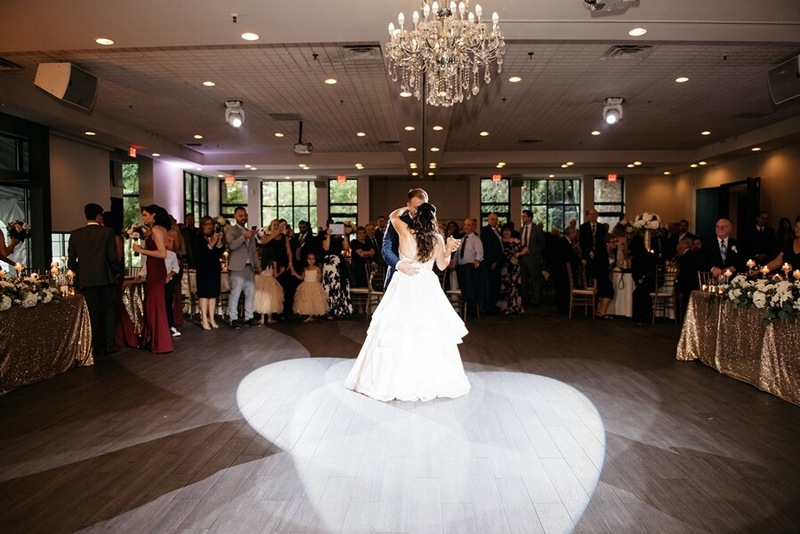 Soon after, guests joined them on the floor and they had a wonderful night dancing with the newlywed high-school sweethearts!